Where exactly is the Hotel am Stephansplatz located? The Hotel am Stephansplatz is located directly in the centre of Vienna just opposite and 56 steps away from the famous landmark St. Stephen’s Cathedral. The exact address is Stephansplatz 9, in 1010 Vienna. What is the best way to get to the Hotel am Stephansplatz by car? When arriving by car, please note a different address for your GPS: Jasomirgottstraße 1-3, 1010 Vienna. Driving via Franz-Josefs-Kai, you will reach the hotel from all directions as follows: turn left at Salztorbrücke into the Salztorgasse, drive straight through Marc Aurel Straße, Hoher Markt and Tuchlauben and turn left into Brandstätte. Drive on and take the first right into Bauernmarkt. Then take the first left into Jasomirgottstraße and drive on until the Cathedral and number 1-3. Please leave your car in the designated zone in front of the hotel for valet parking service. The entire first district, in which the hotel is located (1010 Vienna), is a short-term parking zone, meaning it is subject to a fee and cars are only allowed to be parked for a maximum of 2 hours from Monday till Friday between 9.00 am and 10.00 pm. Parking in front of the hotel is allowed in the designated area for loading and unloading the car (maximum 30 minutes). We are happy to arrange a garage service for you. This valet service is available for a daily charge of EUR 35.00, which includes the collection on the day of arrival and the delivery on the day of departure to and from the hotel. Surcharges will apply for additional deliveries and collections. Please consider a waiting period for the delivery of your car of app. 30 minutes, depending on the traffic. Kindly note that a maximum height of 2 meters must not be outreached. Roof racks, trailers and motorbikes are permitted in the garage. The valet parking service is available between 7.00 am and 11.00 pm. Should you arrive before or after that time, we kindly ask you to inform us in advance. How do we reach the Hotel am Stephansplatz by public transport? The Hotel am Stephansplatz is located directly at St. Stephen’s Square, from where 2 underground lines, U1 and U3, as well as different bus-lines (1A, 2A and 3A) depart. The name of the station of all these lines is “Stephansplatz”. When using the public transport system in Vienna, we recommend buying a Vienna Card for up to 72 hours, which entitles you to use all public transportation lines free of charge within that time. Also included are discounts for guided tours, shopping and other benefits. The Vienna card is available at our reception desk. How long does it take to get to or from the airport to the hotel? The most convenient way is of course by taxi or airport transfer, which takes between 25 and 40 minutes, depending on the traffic. We are glad to assist you with a booking for an airport transfer in advance. Another possibility is to take the CAT (City Airport Train) which takes you from the airport to railway station “Wien Mitte” every 30 minutes within just 16 minutes. From there, take the underground line U3 (orange) direction Ottakring and get off after 2 stops at “Stephansplatz”, the hotel is located right in front of the underground station. On the day of arrival, your room will be available as of 3.00 pm. Should you arrive before 3.00 pm, we will of course store your luggage for you at no extra charge and will try our utmost to provide the room as soon as possible. What time is check-out and is a late check-out possible? Your room is available until 11.00 am on the day of departure. Should you wish to extend your stay with us, we will gladly store your luggage for you. Should you depart before 6.30 am, it would be our pleasure to arrange a boxed breakfast for you which will be ready at the reception when checking-out. Just inform us about your exact departure time the day before until 8.00 pm latest. We furthermore offer the possibility of extending your stay for a few more hours at a reasonable rate. Subject to availability, you may extend your stay until 2.00 pm, 4.00 pm or 6.00 pm on the day of departure. Cancellations free of charge are possible until 6.00 pm on the day before your scheduled arrival. Should you have to cancel your reservation after that time or should your reservation run no-show, the hotel reserves the right to charge a no-show or late cancellation charge. In case of an early departure, the remaining nights will be charged. A cancellation free of charge does not apply for non-refundable and pre-paid rates, as mentioned in our general terms & conditions. How much does the hotel charge for children staying in the adult’s room? Children up to the age of 13 are staying free of charge when sharing the adult’s room. For children between the age of 14 and 18, a supplement of 30.00 EUR per child per night, including breakfast, applies. For young adults as of 18 years, a surcharge of 50.00 EUR per person per night, including breakfast, applies. Triple or Quadruple occupancy is only allowed in the following room categories: Junior suite Comfort or Superior, Suite Tobias. Are wheelchair accessible rooms available in the hotel? One wheelchair accessible room is available at the Hotel am Stephansplatz, which is the VIENNA COMFORT room. Its separate living room, bedroom and handicap-accessible amenities make this room perfectly suited for people with special needs and for families. On the one hand, the peacefully situated living room facing the inner courtyard is ideal for time spent relaxing; on the other hand, it also makes a perfect second bedroom. With 40 m² of space, up to three people can spend the night in a double bed or twin beds and an additional single bed. The adjustable height sinks, easy to reach window handles and light switches, as well as the roll-in shower ensure the utmost comfort and complete user friendliness. This room can only be booked directly via our reservation department – feel free to contact us at office@hotelamstephansplatz.at. Does the hotel have WiFi and how much does it cost? Free WiFi with unlimited data is available in the entire hotel, including all rooms, suites and public areas. Just connect your individual device with the “hotelwlan” network, insert the password you’ll receive upon check-in at the reception and you can start surfing. Is there a safety-box in the guest room? All guest rooms are equipped with a safety box, which is located in the cupboard. Internal dimensions of the safe are: H 25 cm, W 36 cm, D 34 cm. You can either lock the safe with a 6-digit code or your personal credit- or Maestro card. The hotel does not take any liability for lost items in the guest room or safety box. Does the hotel have air-conditioning? All guest rooms are equipped with an air-conditioning which can be adjusted manually throughout the year. A minimum outside temperature of 12°C is required for the air-conditioning. The integrated air moistening is activated throughout the entire year. Heating is possible as of an outside temperature of minimum 19°C during the day or minimum 16°C during the night. The year-round towel and floor heating in the bathroom make it easy to feel comfortable and at home. Does the Hotel am Stephansplatz have any fitness or wellness facilities? Our wellness oasis on level 2 of the hotel is small but refined and offers everything you may need to relax your body and soul in a private atmosphere. You can either exercise on one of our elliptical trainers, step machines or bicycles or use the sauna with integrated light therapy to bring the body, soul and mind into harmony once more. Upon request in advance, our reception team is more than happy to assist you with a reservation for an in-room massage. Does the Hotel am Stephansplatz offer a laundry and ironing service? Laundry service is available daily at the Hotel am Stephansplatz. A laundry bag with detailed price list is placed in the cupboard of your guest room. Surcharges for laundry service on weekends or public holidays will apply. If the laundry is handed over before 9.00 am to our reception team, the cleaned laundry will be returned the next day. Kindly understand that the hotel does not take any liability for rejected or lost laundry items. Due to fire policy, ironing is not permitted in guest rooms. Should you wish to iron your clothes, we will gladly provide you with an ironing board and machine in a separate room next to the reception desk. Does the hotel offer a wake-up call service? Of course we offer free wake-up calls; just inform our reception team about the exact time and date you would like to receive the call. Does the Hotel am Stephansplatz allow pets? We kindly ask you for your understanding that pets are not allowed at the Hotel am Stephansplatz. However, assistant dogs are of course permitted. Are smokers welcome at the Hotel am Stephansplatz? Of course smokers are welcome, however we kindly ask for your understanding that smoking is only permitted in certain areas. All our guest rooms are non-smoking rooms. Should you nevertheless smoke in your guest room, strict surcharges will apply. Please feel free to either smoke in the outdoor area of the hotel or in the “yellow salon” located in the Beletage (1st floor) between 6.30 am and 10.00 pm. Is it possible to store the luggage with the reception on the day of arrival and departure? Certainly we will store your luggage for you at no extra charge. Kindly contact our reception team internally under no. 715 for porterage service. Why does the hotel require my credit card details for a room reservation? In order to guarantee your reservation, we require your credit card details (number and expiry date) in advance. When your booking is confirmed, we will take a pre-authorization in the amount of the first night. Upon check-in, another authorization in the amount of your entire stay with us plus an additional 70.00 EUR for extra charges, will be taken. Kindly note that this is just an authorization, your account will not be charged. The billing and payment will only be done upon check-out or in case of a late arrival or no-show. Which payment options are accepted at the Hotel am Stephansplatz? All regular credit cards such as Visa, Mastercard, American Express, JCB and Diners Club are accepted as well as Maestro and V-Pay. When booking via our hotel website, payment via pay-pal and instant transfer is also possible. What is offered for breakfast and when is it available? Get up with fresh and crispy whole wheat bread and pastries from the bakery Gradwohl, fresh organic egg-dishes, crispy bacon, steamed tomatoes, cold cuts, a delicious cheese selection, smoked salmon, homemade Bircher Muesli, freshly squeezed fruit and vegetable juices, smoked salmon, cereals and super fruits and much more. Our original Viennese coffee specialities such as “Melange” or “Verlängerter” will guarantee you a fresh start into the new day as well as the one or other glass of bubbly Frizzante from our vine-maker “Schober”, which is also included. Yes, there is a restaurant in the Hotel am Stephansplatz: our Café Bar ARAGALL located on the first floor of the hotel and open to public, truly is Vienna’s most central hidden gem. Warm colours, fine woods and unique art make up the distinctive atmosphere of this popular local destination named after the Spanish tenor and chamber singer Giacomo Aragall. Its exceptional atmosphere and wide range of dishes and drinks invite you to be comfortable and enjoy yourself. Begin the day with a rich breakfast buffet, including selected organic products. For lunch, pamper your palate with a tasty à la carte menu and treat yourself to pastry and a Wiener Melange in the afternoon. Of course, it’s also perfect for an after-work cocktail — and the impressive view of “Steffl” is always included. Do you have any recommendations for restaurants close by? Besides our inhouse Café Bar ARAGALL on the first floor of the hotel, there are numerous restaurants, bars, cafés and other culinary spots within easy walking distance. Our reception team will gladly assist you with certain recommendations and table reservations at anytime. A service charge in the amount of EUR 5,00 per order will apply. Kindly note that during summer closing of our Café Bar ARAGALL between mid of July and mid of August, room service is only offered between 7.00 am and 11.00 am. Please have a look at your in-room guest map for the room service menu. What may I expect at the Hotel am Stephansplatz? Our goal for business travellers, leisure and daily guests alike is to make you feel at home at the Hotel am Stephansplatz, to ensure you will return soon and can recommend us further in best conscience. 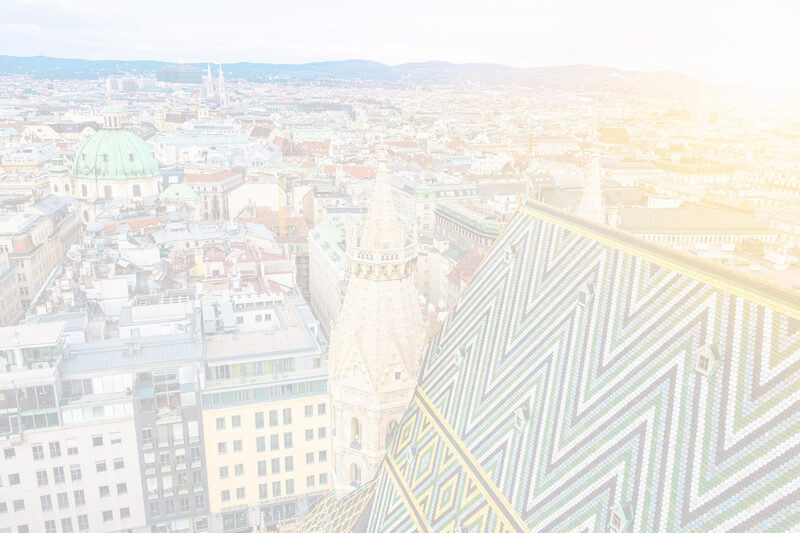 Our vision is, to be “Vienna’s most friendly 4-Star hotel in the very heart of Vienna with feel-good atmosphere and professional, individual guest service at its best.” It is our mission to reach these goals and exceed your expectations – every day. We strive to “always have an open ear for our guest’s individual wishes and needs”. Our concept is based on ecological and environmentally friendly guidelines and strives for harmony down to the smallest detail with the goal of offering our guests a special and personal atmosphere – Vienna’s most central. What is there to see and visit around the Hotel am Stephansplatz? Located directly across St. Stephen’s Cathedral, you will be staying right in the heart of Vienna at the Hotel am Stephansplatz. As a result, numerous attractions will be right next door. The Vienna State Opera – just a stone’s throw away. The imposing Hofburg Imperial Palace – practically around the corner. The Albertina, the Parliament, and the Museum of Art History and Museum of Natural History – all are conveniently accessible by foot. The famous pedestrian and shopping zones of Kärntner Straße, Graben and Kohlmarkt with their many opportunities are also within easy reach. Public transportation (U1, U3, 1A and 2A bus lines) is just a few steps away from the hotel. You cannot get closer to the pulse of the city than in Hotel am Stephansplatz. Do not hesitate to contact our reception team for any recommendations, more detailed information or ticket reservations. What other extras are there at the hotel or guest rooms? Bathrobe: A fluffy bathrobe placed in the cupboard of your guest room, is at your disposal during your stay with us. You may also purchase one at the reception desk (EUR 45.00). Business Corner: A business corner with Desktop PC and printer is available in the hotel lobby free of charge to check your emails, use the Internet or to print any documents. Espresso machine: All guest rooms are equipped with an Espresso machine and an electric kettle as well as a selection of fine Espresso, Decaf and tea from Julius Meinl which are available free of charge and will be replaced daily. Grander Wasser: Only GRANDER water is used in the entire hotel. The water is revitalised by a magnet, which makes it more refreshing and it has a softer and finer taste. Thanks to its better dissolving power, it also saves on detergents and cleaning agents, and is therefore benefitting the environment. Harmonization: We regularly smudge all our guest rooms and public areas with sage, which is well known for its soothing and relaxing characteristics and creates an atmosphere that is just as pleasant and refreshing as the building material and materials that were selected and used. Minibar: All guest rooms are equipped with a minibar which is replaced on a daily basis. Products offered there are subject to a fee, the price list is placed next to the espresso machine in your guest room.